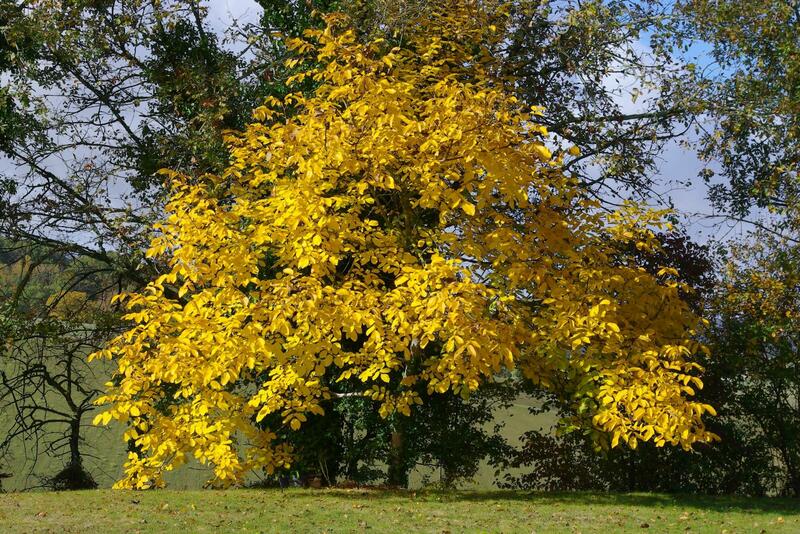 Juglans duclouxiana Dode, Juglans fallax Dode, Juglans kamaonica (C. DC.) Dode, Juglans orientis Dode, Juglans regia subsp. kamaonica (C. DC.) Mansf., Juglans regia var. orientis (Dode) Kitam., Juglans regia var. sinensis C. DC., Juglans sinensis (C. DC.) Dode. Walnut, the fruit of the walnut tree (Juglans regia L.), has been used in human nutrition since ancient times. Walnut trees were cultivated in Europe as early as 1000 BC (Martinez et al., 2010). The walnut tree is a deciduous medium-sized to tall tree that can reach up to a height of 45 m (Ecocrop, 2012). The fruit is a spherical drupe with a green fleshy husk that opens at maturity to reveal a nut. The nut consists of a hard lignified shell containing a wrinkled kernel made up of two halves separated by a partition. Depending on the ecotype, shells can be large or small, light brown or dark brown in colour, smooth or knobby (Chukhina, 2012; Ecocrop, 2012; Molnar et al., 2011). Walnut is a crop of economic importance to the food industry: the kernel is consumed, fresh or toasted, alone or in other edible products, such as confectioneries, pastries or sauces. It is globally popular and valued for its nutritional, health and sensory attributes. Kernels are a nutrient-dense food, largely because of their high fat content and protein, vitamin and mineral profiles. Walnut kernels are also a good source of a wide variety of flavonoids, phenolic acids and related polyphenols (Martinez et al., 2010; Ecocrop, 2012). Walnut kernels contain about 50-70% of an oil rich in unsaturated fatty acids, particularly linoleic acid (49-63%) (Shahidi et al., 2005; Ecocrop, 2012). Walnut leaves contain large amounts of tannins and are a potential source of antioxidants for the food, cosmetics and pharmaceutical industries (Ghasemi et al., 2011). In Spain, they are used in traditional veterinary medicine for the cure of colic in horses (Akerreta et al., 2010), and, in Italy, as a vermifuge (Guarrera, 1999), but not as a feed. The green husk contains a lot of phenols and flavonoids and is a source of dye (Ghasemi et al., 2011; Cosmolescu et al., 2010; Ecocrop, 2012). In France, the vin de noix (walnut wine) is obtained by macerating whole immature fruits (including husks) in wine or alcohol. Walnut sap is sweet and the trees are tapped during spring to harvest it (Ecocrop, 2012). Walnut processing yields several by-products. Walnut oil meal (or walnut cake) is the product of oil extraction and is often called walnut meal. In California, small pieces of kernel accumulated during the manufacturing process are also called walnut meal (Federal Register, 2010). A fibrous product called muller meal is marketed in the United States, possibly a mixture of kernel particles and ground shells (McGregor, 2000). All these products contain highly variable amounts of protein, fat and fibre depending on the technology and it is difficult to categorize them accurately. Most of the research and observations concerning those products is extremely old and often dates from the 19th century. The walnut tree originated from a large area, from Central Asia down to the Indian Peninsula, spreading westwards to Europe and eastwards to China. It is now naturalized throughout the world from 30 to 50°N and from 30 to 40°S (Germain, 2004). It is also well adapted to many regions with Mediterranean-type ecosystems. Walnuts are cultivated commercially throughout southern Europe, northern Africa, eastern Asia, the USA and western South America (Martinez et al., 2010). World production of whole walnuts (with shells) was around 2.5 million t in 2010. China is the leading world producer (1 million ton), followed by the USA, Iran, Turkey, Ukraine, Romania, France and India, but production in other countries such as Chile and Argentina has increased rapidly in recent years (FAO, 2012; Martinez et al., 2010). 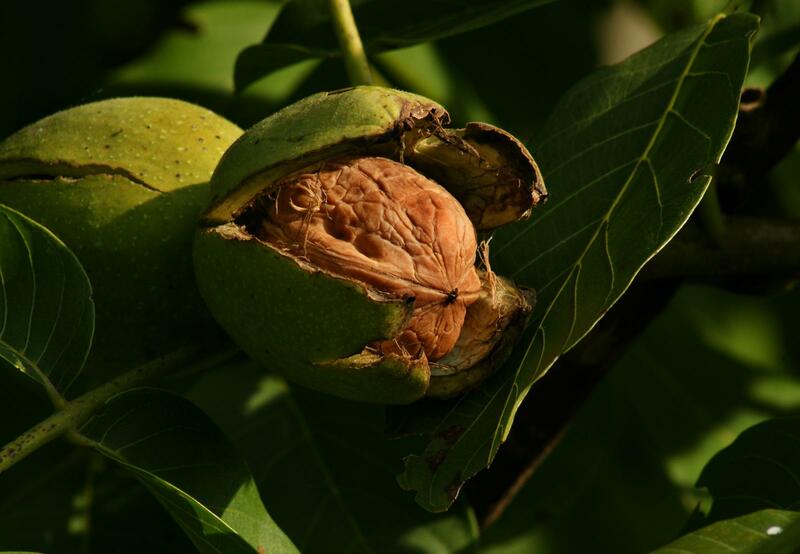 Walnut by-products with a high fat content become rancid fairly rapidly and should not be kept more than 2 months after extraction (Brunschwig, 2003). They should be kept dry to prevent moulding (Cornevin, 1892). 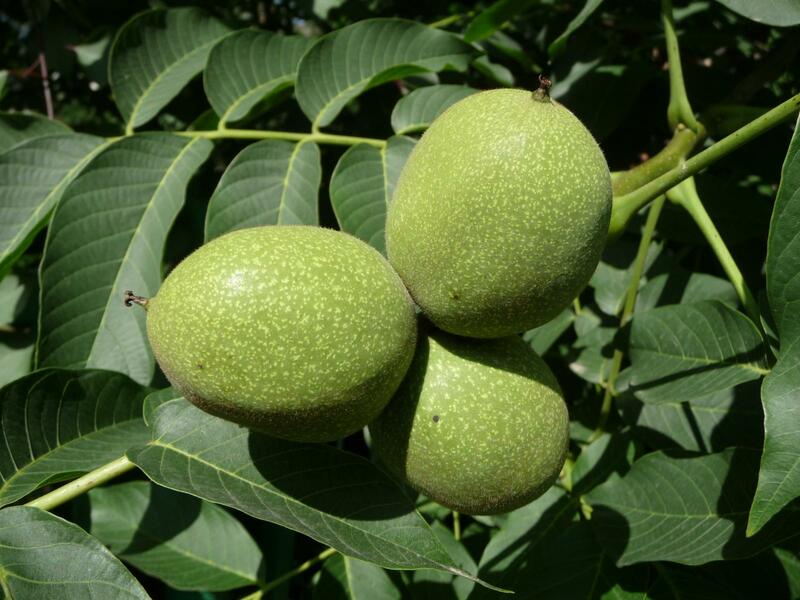 The black walnut (Juglans nigra), an American walnut species, produces a toxin called juglone, which is capable of stunting or even killing susceptible plants, including grasses, alfalfa and members of the apple and tomato families. Juglans regia does not produce juglone but can become problematic when grafted on Juglans nigra (Heimann et al., 1997). 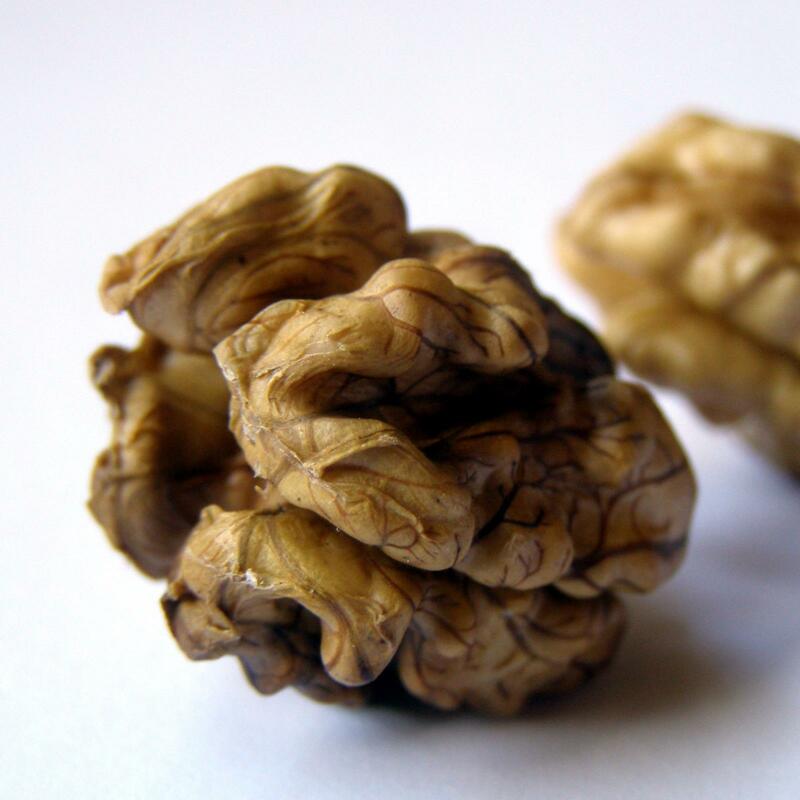 The nutritional value of walnut oil meal depends on the extraction process. The shells may or may not be removed prior to extraction, the kernels may or may not be toasted, there may be one or two mechanical pressing steps, cold or hot. A French two-step process has been described as yielding two types of oil meals: the first pressing gives a relatively high oil (20%) and medium protein (32%) oil cake, whitish and containing kernel fragments, while the second pressing yields a darker (yellow-brown) product, containing less kernel particles, less oil (10-12%) and more protein (37%) (Brunschwig, 2003). Data collected in France tend to support the notion that French walnut oil meals generally contain high levels of protein, low levels of fibre (5-10% due to prior dehulling) and highly variable levels of oil (6-45%). American processes yield products containing much less protein (13-17%) and oil (6-10%) and a high amount of fibre (crude fibre 27-33%) (McGregor, 2000; Kratzer et al., 1974; Kendall et al., 1982). The "muller" meal is reported to contain twice the amount of fibre and half the protein, a composition barely more nutritious than than of walnut shells (McGregor, 2000). In summary, the main nutrients of walnut oil meal (protein, oil and fibre) are extremely variable: the nutritive value of walnut oil meal ranges between that of the high-energy walnut kernels (50-60% oil) and the high fibre, low-energy shells. It is, therefore, recommended to perform a proximate analysis prior to feeding the meal to animals. Nitrogen availability could also be influenced by the temperatures applied during extraction. Walnut oil meal and other oil-containing walnut products can readily turn rancid and become unpalatable to livestock (Göhl, 1982). It was observed in the 19th century that meat from animals fed rancid walnut oil meal was of poor quality and had an unpleasant texture and smell (Cornevin, 1892). Phenolic acids and flavonoids have been found in walnut leaves (Amaral et al., 2004). The total phenolic content in leaves ranged from 0.055 to 0.477 g/kg DM according to the variety and the season (Cosmolescu et al., 2011). Juglans regia leaves also contain progesterone (Pauli et al., 2010), which could cause reproductive problems in animals. However, this effect has not been demonstrated and walnut leaves are usually not fed to livestock. Walnut oil meal and other walnut processing by-products are used to feed cattle, and particularly dairy cows in some countries, including France (Brunschwig, 2003) and the United States (McGregor, 2000). However, recent information about the use of this product in ruminant feeding is nearly non-existant. French studies from the late 19th century considered it to be a palatable, nutritive feed for beef and dairy cattle. A dairy cow diet from 1906 included 1.5 kg of walnut oil meal, 15 kg of beets, 15 kg of maize silage and 4 kg of straw and oat hulls (Dechambre, 1906). Green walnut husks may not be used as ruminant feed because of their high phenol and flavonoids contents. Walnut leaves can be used, but probably at a low level in the diet due to their high tannin content. However no available data exists on their possible utilization and effects. Walnut oil meal was a common feed for fattening pigs in Southern France in the 19th century. It was considered to be palatable, the recommendation being to use only non-rancid meal and to stop giving it some time before slaughter. However, the meat from pigs fed walnut meal had a very bad reputation, as it was soft, oily and rancidity-prone, and had a bad smell when the meal was rancid (Raynaud, 1879; Cornevin, 1892). Walnut oil meal used to be fed to ducks, turkeys and geese in France in the 19th century. It was considered to be palatable to these species when fresh and not rancid (Cornevin, 1892; Dechambre, 1906). A trial in California in 1974 using a relatively fibrous oil meal (35% crude fibre) found that inclusion rates of 30% in turkey diets reduced growth and feed conversion efficiency, but it could be used satisfactorily at 5-10%. The estimated ME was very low (2.3 MJ/kg as fed) (Kratzer et al., 1974). A more recent trial in Iran with a high-protein (40%) and low-fibre (6% crude fibre) walnut meal gave good results in Japanese quails: it was a good source of energy (AMEn 15.4 MJ/kg as fed), and could be used up to 20% for young chicks and 30% for older chicks, without any adverse effect on growth performance. (Arjomandi et al., 2016). Walnut oil meal has been used to feed rabbits (Masini, 1994). Molnar, T. J. ; Zaurov, D. E. ; Capik, J. M. ; Eisenman, S. W. ; Ford, T. ; Nikolyi,L. V. ; Funk, C. R., 2011. Persian walnuts (Juglans regia L.) in Central Asia. Northern Nut Growers Association, 101st annual report. Shahidi, F. ; Miraliakbari, M., 2005. Tree Nut Oils. In: Bailey’s Industrial Oil and Fat Products, Sixth Edition, John Wiley & Sons, Inc.